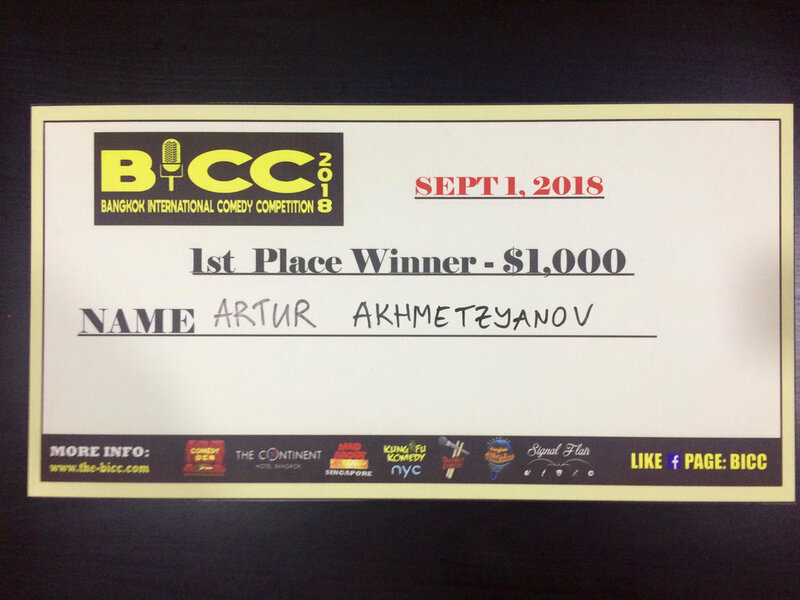 Newsy news: I won Bangkok International Comedy Competition 2018 Final. It was a great pleasure to share the stage with amazing comics from all around the world. I made new friends and I'm sure we will perform together in the future. Kudos to Delfin Solomon who organized a fantastic BICC - keep rocking and raising the bar. I'd like to thank my family and friends for support and belief in me. You give me strength and inspiration.